An op-ed in an issue of this week’s Boston Globe posits the brave thought “What if we did away with carry-on bags on flights entirely?” Devin Liddell, the founder and brand strategist behind Poppi, the conceptual airline, wrote an open letter to the world, essentially telling us “You’re doing it wrong!” According to Liddell, eliminating carry-on bags would make the boarding process 71% faster. A flight that takes an hour to board with carry-ons would take just 18 minutes without. Extrapolating this out further, no carry-on luggage would mean that airport security checkpoints would be a breeze. 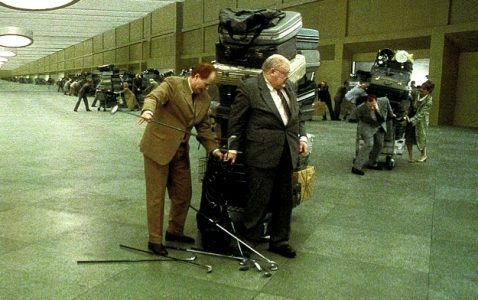 With no need to pack and unpack, no loading and unloading bins and no Ziploc bags of liquids and gels, TSA agents would be able to keep the line moving without pauses. With security now potentially taking seconds rather than 30 minutes, the two-hour suggested early arrival time for domestic flights would evaporate into something much more inviting. To read the rest of the story at USA Today’s Road Warriors, click here.